Description: Modern Farmhouse Addition & Renovation – taken to studs & rebuilt in 2017. 4 Bedrooms,4.5 baths,2 LAs, gameroom, media or 5th bedroom. Downstairs master floorplan. Beautiful formals upon entry lead to open kitchen & den. Fabulous gourmet kitchen features 48 inch built-in Kitchen Aid refrigerator & commercial grade gas range with Vent-A-Hood,Carrara marble c-tops & glass tile backsplash, ine fridge & walk-in pantry. Master features his & hers closets, master bath with double vanities, separate shower & garden tub. Upstairs are 3 bedrooms,3 baths, gameroom, media or 5th bedroom. Large corner lot with privacy board-on-board fence & great side yard large enough for pool. Lakewood Elementary. Minutes from White Rock Lake. 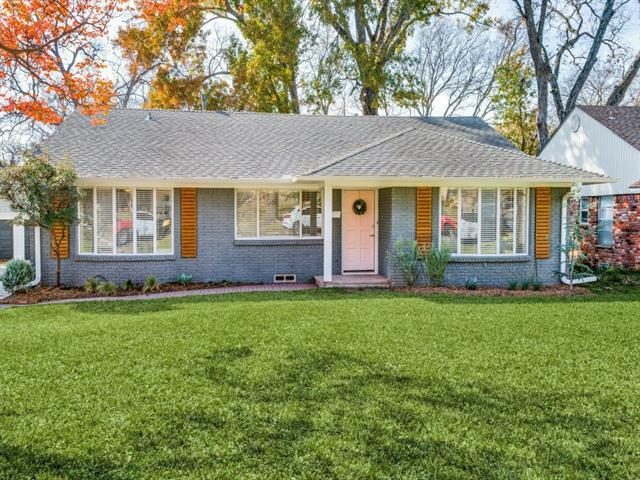 Description: Beautifully remodeled Mid-Century Ranch home near White Rock Lake. Gorgeous setting in White Rock Valley within walking distance to the Lake and White Rock Elementary. Thoughtfully executed with clean lines and modern flair. Open, bright floor plan perfect for today’s lifestyle. Kitchen features Jenn-Air range, quartz countertops and opens to the dining and living areas. Large master with a walk-in closet, double vanity area and oversized shower. Mud Room-Utility Room-Project Room, perfect for today’s modern family. This is it! Description: OPEN SUNDAY DECEMBER 3RD 2-4PM! 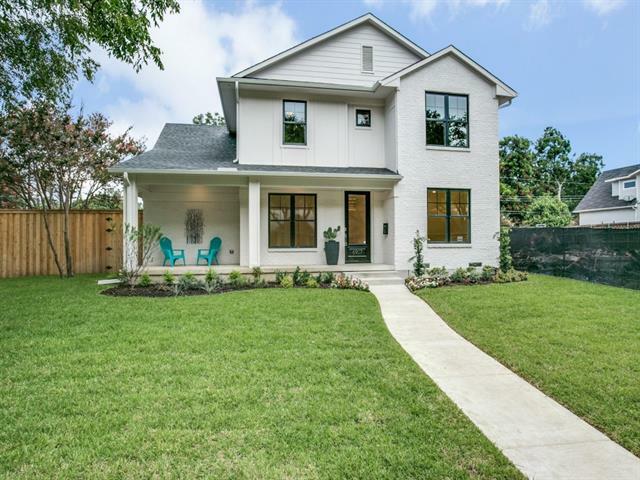 Gorgeous renovated Berkeley home with 4 bedrooms & study! 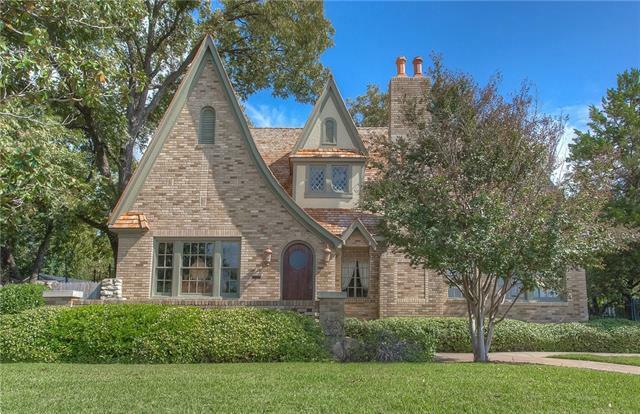 You’ll fall in love with this gabled brick home, built c. 1926! Enter the graceful living room with barrel ceiling, stunning hardwoods & Batchelder fireplace! Imagine entertaining in the elegant dining room! Gather in the kitchen & catch up for awhile before relaxing in your outdoor living area . Enjoy your peaceful downstairs Master with a generous closet & spacious updated bath. Driveway entry on Wilshire Blvd. is gated. Back & side yards have wrought iron fencing. There are 2 additional storage areas adjoining the garage that could be renovated for guest or office space. Deep .419 acre lot! 2017 upgraded roof!